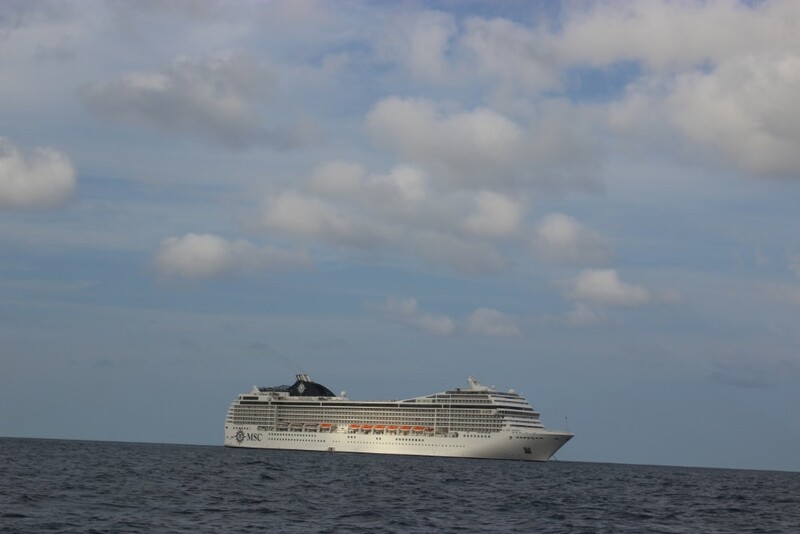 After being lucky enough to enjoy 2 cruises with MSC – first on the Sinfonia and then on the Musica I’ve come up with a few useful tips for a first cruise holiday. These are all primarily aimed at the MSC cruises offered out of South Africa, especially the Durban to Mozambique route, BUT many of them will still be useful for all first time cruisers. I hope you will find these cruise tips useful. If you have any additions to this list please do leave a comment below! It’s an awesome way to share expertise and help other cruisers make the most of their MSC cruise holiday. 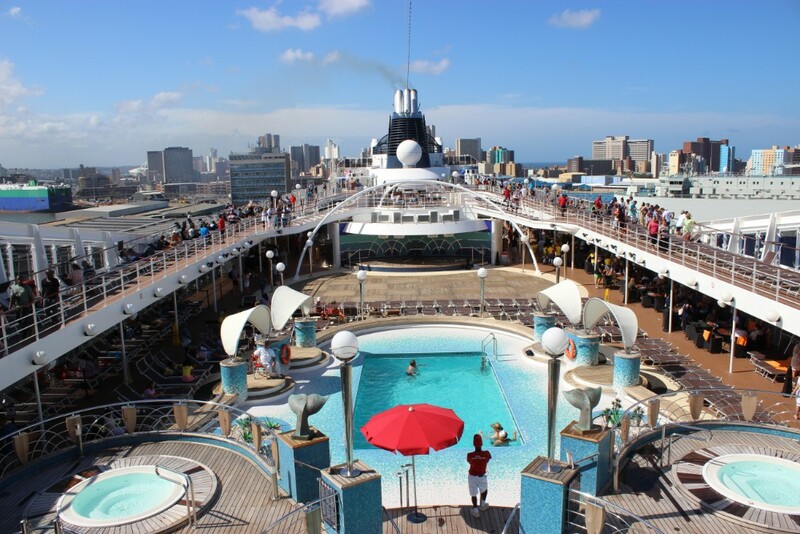 In recent years, cruising has become an affordable holiday option for many families. The all inclusive offer, the Under 18s travel free and the convenience of unpacking once make this a very budget-friendly holiday choice for families, couples and groups of friends seeking some fun in the sun! MSC dominates the South African cruise market with a new cruise liner arriving each November to sail the seas off the South African coastline – visiting destinations such as Cape Town, Windhoek, Durban, Port Elizabeth, Pomene, Portuguese Islands, Mauritius and Reunion. 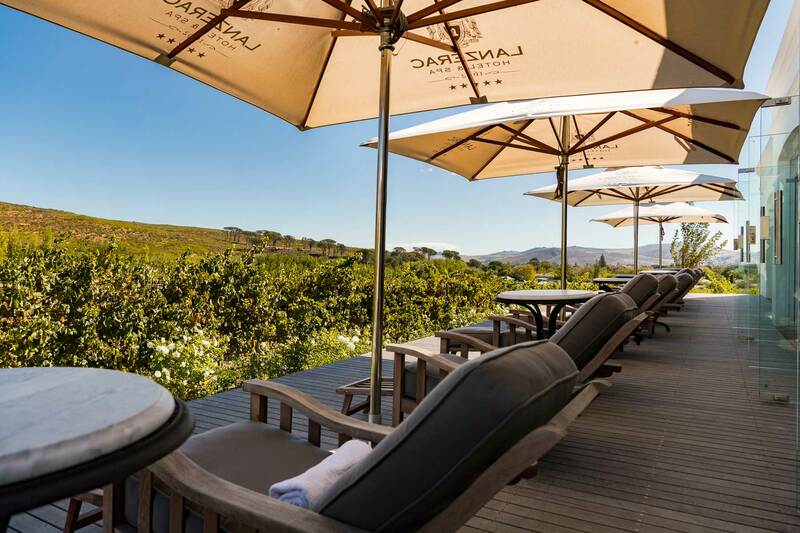 These MSC cruises are often the first exposure many South Africans will have to the cruise lifestyle… and many get hooked. Returning again, and again, to enjoy new routes offered by MSC from South Africa, or even getting a bit more adventurous by booking a cruise in the Med or Caribbean! 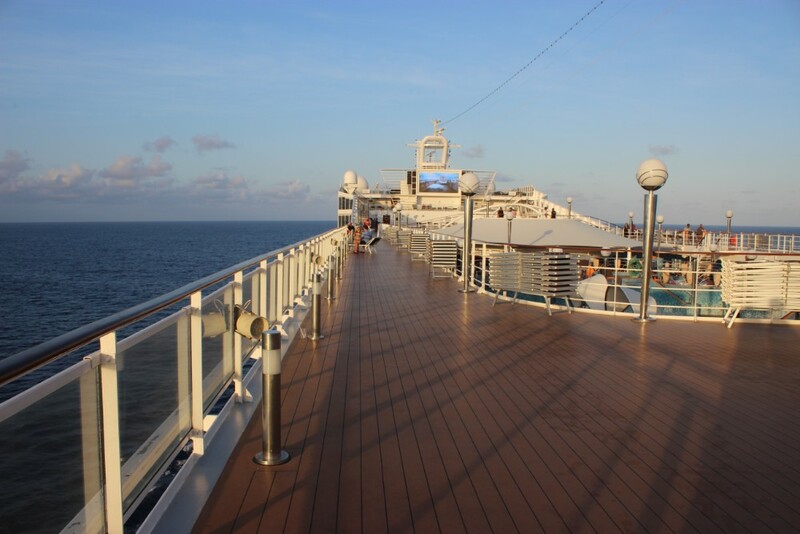 For first timers, however, cruising can be quite overwhelming initially. Stepping on board a floating luxury hotel with thousands of guests and hundreds of crew can feel crowded and stressful… but it need not be the case. If you know a few tricks! Don’t over-pay MSC is always offering great deals, so you should never pay full price for a cruise. 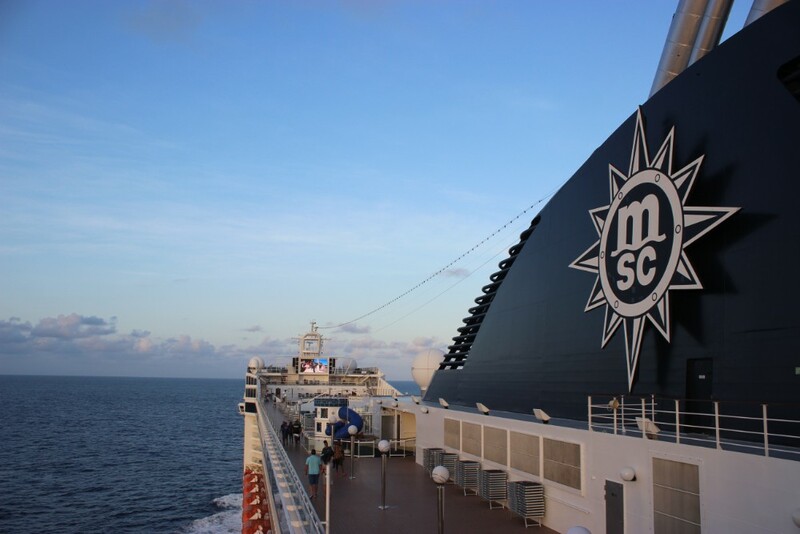 Sign up for the MSC newsletter, so you’re aware of new special offers or cruise deals. Kids cruise free. Kids 11 and under sail FREE and special rates are given to kids aged 12 – 17. You’ll only pay taxes and port charges! Book into a balcony cabin as it’s the perfect place to escape the crowds on the pool deck while still enjoying life at sea. Cabins in the back can often have a more pronounced sound and vibration from the engines. If possible book a cabin in the middle or towards the front of the ship. 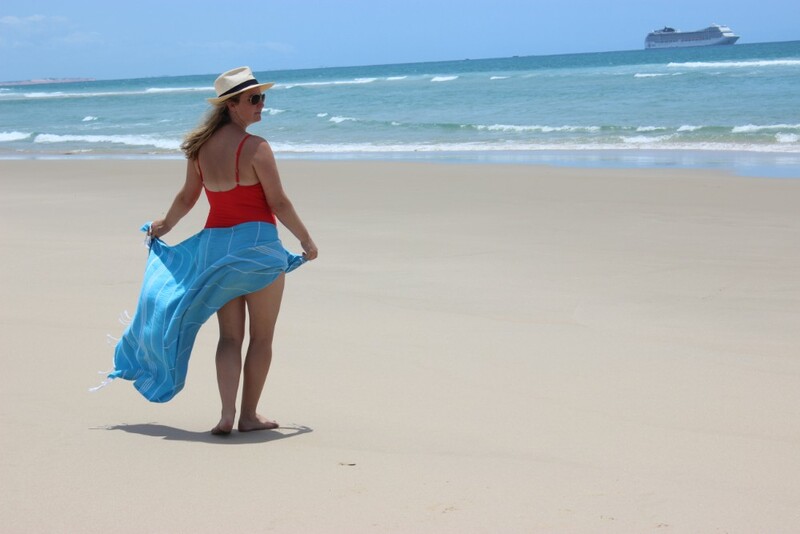 The biggest mistake many make is to over-pack – chances are that you will spend most of your time on-board in your beachwear, so you don’t need an extensive wardrobe. Remember that space is at a premium in most cruise liner cabins, so the last thing you want to do is to clutter up your cabin by bringing too much with you. 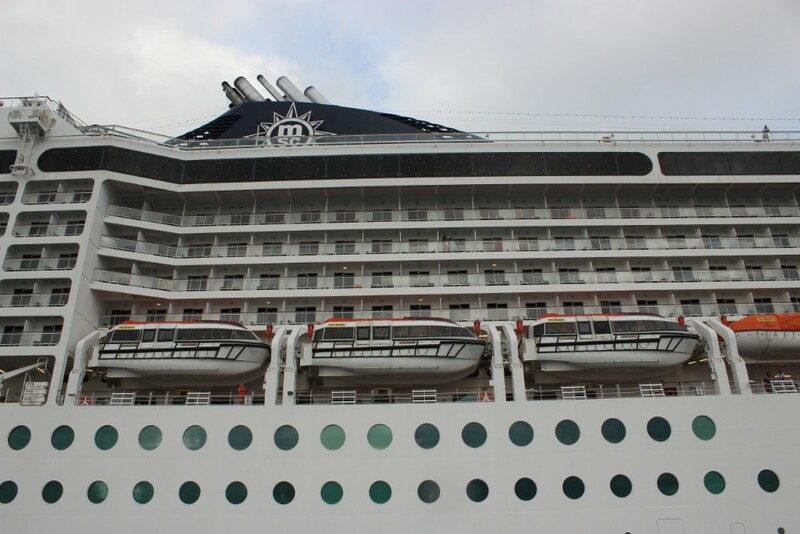 MSC Cruises allows each passenger to check in one bag on cruises of four nights or less. Any additional bags will be checked in at an extra charge. Carry-on luggage is restricted to one bag, and it may not exceed the following dimensions: 56cm (length) x 45cm (width) x 25cm (depth). eyeglasses, makeup, camera, tablet and laptop. Your luggage needs to be left outside your cabin for collection by latest 2AM on the day of disembarkation, so your carry-on luggage will need to be large enough to pack your toiletries, pyjamas etc on the morning of disembarkation. Bring your passport and cruise documentation and keep a copy of all your travel documents on you and in your checked luggage, makes it easier to retrieve if lost. NB take along the Unabridged Birth Certificate for each child travelling under 18 travelling with you. A camera is a must to pack for a cruise vacation and don’t forget the extras that they come with… memory cards and batteries or chargers. Cruise ships do provide some essential toiletries including hand creams and shampoo, however you will need to bring along your own toothbrush… and other favourite toiletries. A good sunscreen is essential for days on deck. Remember to reapply often, especially if you’ve been swimming! The deck of a boat is like a giant solar panel and you will undoubtedly spend more time in the sun during the hottest times of the day than you normally would. You don’t want to fry your skin on day one as you want to be able to enjoy the rest of your holiday. If you’re worried about seasickness pack motion sickness tablets or ear patches or wrist bands. Tablets such as Stugeron are recommended, and you should begin taking them the day before departure to ensure the medication is in your system, just be aware that they cause drowsiness. Although there is a doctor on-board, it is highly advisable to pack enough medication for the duration of your cruise. In terms of clothing shorts, t-shirts, trousers, casual skirts, blouses and sundresses are all perfect attire for daytime cruising. If you are cruising to cooler destinations, then be sure to dress in layers in order to cater for the cooler temperatures outdoors and the warmer temperatures indoors. You will need a few formal outfits for dinner. It’s up to you how dressed up you want to get but it’s quite fun to make an effort occasionally. It is advisable to pack a dressy jersey, jacket or pashmina for cooler evenings. There is usually a suggested dress code for each evening, namely: Casual (sport shirts and slacks for men, sundresses or pants for women), or Smart Casual (jackets and ties for men, dresses or pantsuits for women). MSC host a few fun dress up events such as a tropical party and a 60s or 70s evening. Try to research which dress up events will be taking place during your cruise and join in the fun with a few fun accessories. A sun hat and a pair of sunglasses are essential items to include in your suitcase – or wear them in transit! A swimming costume (or 2, even 3) is essential. You will basically live in this and a pretty sarong or cover up. I know you’re probably thinking “Of course I’m packing a swimming costume for a cruise.” BUT this is not just a ‘what to pack’ tip but a ‘where to pack’ it tip. Do not pack this in your checked luggage. Rather keep it in your hand luggage so that you can change into this as soon as you step on board the boat and being your holiday immediately! Depending on the length of your cruise you may want to keep up with your usual exercise routine so if that is the case remember to pack your workout gear and sneakers Most cruise liners have a full fitness center on board equipped with elliptical machines, treadmills and cycling bikes. Pack a good mix of shoes, including sandals or flip flops, sneakers for working out, and dressy shoes for the evening. Good comfortable shoes for shore excursions are essential. Wear your heaviest shoes during embarkation and disembarkation so you don’t have to pack them. Don’t forget to pack socks and underwear. Everyone always forgets their socks! Pack an empty soft bag for souvenirs you buy during your trip. Bring a lanyard for each family member to carry their cruise card. Mark your luggage with brightly-coloured ribbons or tags to make it easy to spot and less likely to be picked up by somebody else by mistake. You don’t need to pack towels, as bath and pool/beach towels will be provided. Last, but not least, pack an open mind! If you’re new to cruising, it’s important to know that it will be nothing like any other holiday you’ve ever taken before. You will meet people from all over the world and you’ll be holidaying in a floating hotel with thousands of other people… a little bit of courtesy will go a long way. Order an Uber or taxi to take you to the terminal, parking is limited and there are over 2 000 people making their way there too! For those cruising from Durban, parking is available at the harbour for R120 per day. Alternatively if you’re flying in to Durban then book a shuttle transfer beforehand. Busses depart every 45 min. The process was extremely efficient with a lot of guidance and helpful staff to make it painless although there is still some waiting around in queues. Arrive early if possible! Getting onboard before everyone else is a great way to explore the ship, grab a bite to eat and swim before the crowds take over. If you have the budget pay for priority boarding to get fast tracked through the boarding system. It’s only a bit more expensive, but it’s well worth it as it means you’ll transit through the terminal and get on board much faster! If you are travelling with kids or anyone elderly, it makes it a whole lot easier. Note that you will still have to go through the usual queue for the ship security. When you first get on board it will be disorientating to find your cabin as a lot of the hallways look the same. Map the quickest route from your cabin to the pool deck and restaurants, so that you don’t spend all your time finding your way around. The safety drill will happen within the first hour of leaving port. When the alarm sounds you will need to collect your life jacket from the cupboard in your room and head down to the designated waiting area for further instructions. Keep your cruise card on you the whole time. You can’t leave or board the ship without it. Enjoy chatting to the crew and staff who represent a wide range of nationalities. It will make your trip feel more international! Stay connected while sailing by signing up to one of the internet packages. Ensure you turn off your data connection or go into airplane mode after you login. You don’t want those background apps running and eating through your data allowance! Link a credit card to your cruise card for easy payment After boarding your cruise, head to the kiosk (Cruise Card Activation Point) to link your credit card, debit card or prepaid card for all onboard expenses including gratuities. If you pay by credit card, your account will automatically be closed at the end of the cruise. You won’t need to go to Reception – Guest Services or worry about settling your final bill. If you paid by debit card or a prepaid card, any amount debited to your card that is not spent during your cruise will be reimbursed in cash at Guest Services on the final morning before disembarkation. This means you will have to wait in line for reimbursement. Keep an eye on your Cruise Card balance. Once you’ve met your deposit you’ll need to return to Guest Services to add more cash to your account. You will also be required to visit Guest Services on the final morning before disembarkation for a refund of the cash you didn’t spend. You can use your TV to check your balance on your cruise card. Check your statement delivered to your cabin on the last night of the cruise. Get the Teen Card if you’re allowing your kids to spend money during the cruise. Just remember to set a spending limit! Insert your keycard to turn on the lights. It took my mom a few days to work this one out!Other membership type cards from your wallet will also work. Remember if you don’t have a key card in the slot, nothing will charge while you are away. All cabins have hair dryers in your mirror drawer. If you’re looking to escape the crowds and want to enjoy some quiet time while looking out to sea, then head up to the nightclub during the day. Read the daily internal newsletter that is delivered to your cabin every evening and details the shows, games and entertainment happening for the next day. This will help you to best plan your time. Book into the private top deck if you’re keen to spend some quiet time tanning – this private solarium area comes complete with loungers, extra towels and ‘pods’. There is an extra cost to this, so you need to budget that in. There is no private pool in this area however. 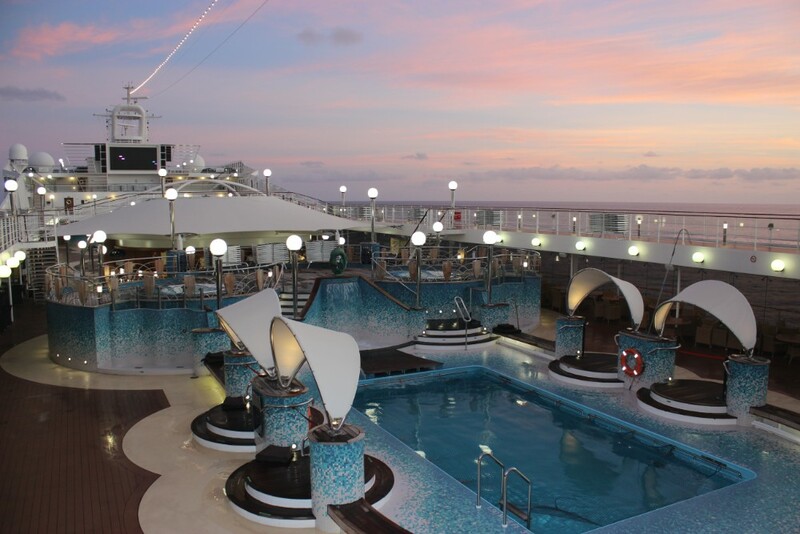 The Spa onboard is another area that you can book into for a little quiet time. They offer a range of relaxing treatments as well as the option to book in to enjoy the Thermal Suite – including the jaccuzzi’s, steam and sauna rooms. I escaped here and enjoyed a sauna and a steam all to myself! If you’re into fitness, jogging the deck is a great way to get a workout in with fresh sea air in your lungs. A jogging trail with distance has been marked on the deck. There is of course also the gym area which also has a fab view (and aircon!). The theatre shows in the evenings are always worth while. Some cruise liners require you to book beforehand. Others there is not booking required. The shows start at 19:00 or 21:00. Entertainment on-deck in the afternoons is great fun as are the quizzes. The photos they take onboard are stunning, but the pricing is crazy expensive. If you’re not planning on spending here then politely decline having your photo taken as it’s MUCH harder to avoid this expensive purchase when you see the photos on display! Watch your belongings onboard and don’t leave valuables lying about. 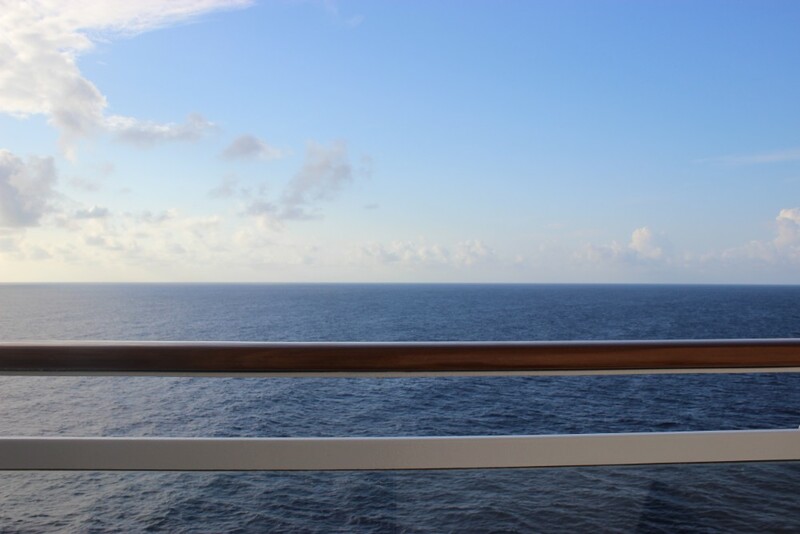 Take lots of pics – before you know it your cruise is over. Order breakfast to your room each morning by completing the form located in your room and hanging it on your door handle before heading to bed. You can choose to have coffee, orange juice, hot chocolate, granola and a few pastries. This is free service and a blissful way to wake up and avoid the queues and crowds at the buffet! Drink a lot of water, it will keep sun (and alcohol) induced dehydration at bay. This is especially important if you feel like you haven’t quite got your sea legs yet, dehydration can make it worse. Drinking cocktails in the sun all day sounds amazing but a hangover-material! Consider buying the drinks voucher packages sold prior to travel and onboard. The vouchers are usually discounted and if you are travelling with kids you can give them each a booklet to use themselves. This packages give you 18 vouchers the all inclusive means you can drink anything on this voucher from cool drinks to cocktails. This does not mean you get to drink as much as you want for the cruise! Pre-purchased drinks vouchers are mostly of value if you’re going to have cocktails (and ice-cream). The rest of the drinks are sold in USD and the beers are ‘buy 4, get 1 free’. The cost for beers is dependent on whether you are still in SA waters, they usually cost around $3 for a beer or bottle of water. No alcoholic beverages can be taken onboard the ship. If you purchase alcohol while in port, it will be held and given back to you prior to disembarkation. Be smart about how much you eat. Don’t eat more just because it’s there.Food is on offer for almost 24-hrs a day so it is tempting to spend your day eating non-stop. Rather stick to your usual meal times and an occasional treat – hello gelato! When ordering food pick Italian options (the ships are operated by Italians). The curry is also a good option, as the chefs have been trained by Indian chefs from Durban. The cold meats, cheese and ice cream are all brought in from Italy so enjoy a rare taste of Europe. The buffet area can get a bit crazy as some people act as though they are never going to see food again and plate up way too much. That being said there are some great options at the buffet. Don’t forget you can also go to the dining rooms for breakfast and lunch. Check your daily program to see where you can get snacks in between meals. For instance you can get nice pastries at the bar with the best coffee machine on Deck 5. Get your disembarkation tender early so you’re not waiting until noon for the island-transfer. Make sure you disembark for day trips. This is a chance to explore a different culture or experience something unique. Book a shore excursion. You only live once! 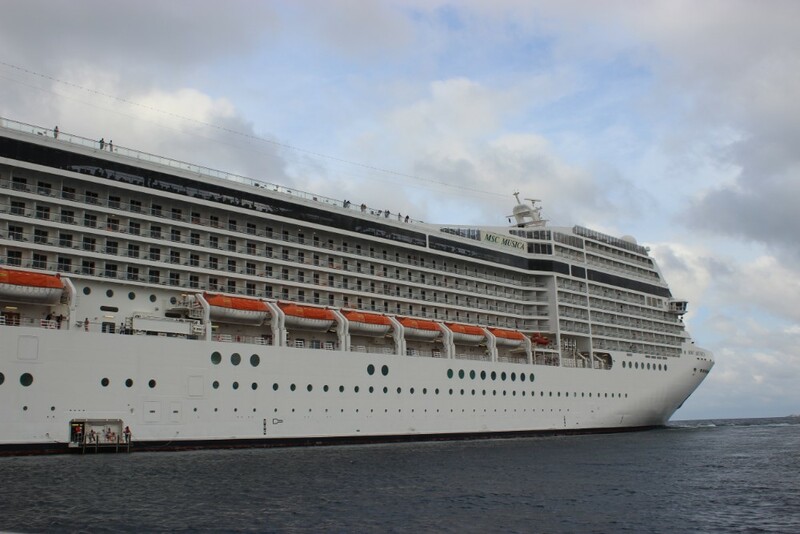 If you have a particular shore excursion you would like to do be sure to pre-book these vai the “Manage my Booking” section on the MSC website. Booking in advance will mean you qualify for a 20% discount. 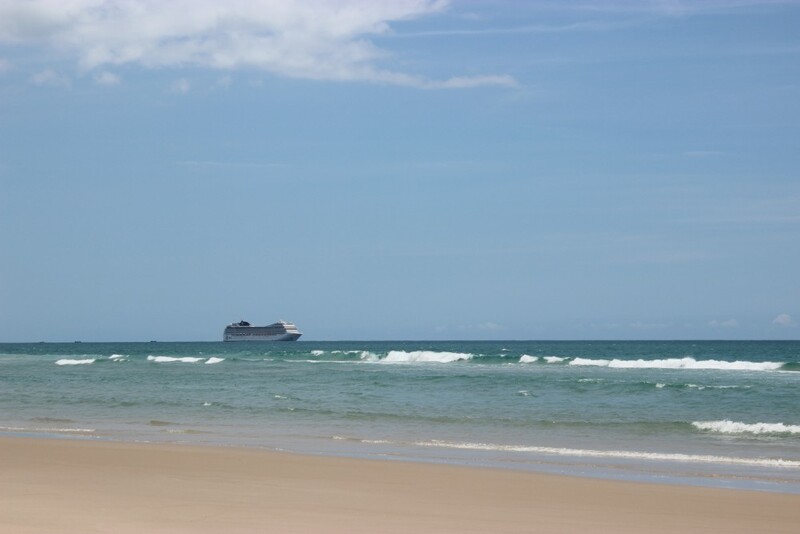 However on the day you can book excursions on the ship or go to the Excursion desk on the day to check to see if there is any last minute availability. In rough seas expect to get a bit wet after your 15min transfer. Cover up your valuables or bags with a sarong or waterproof jacket. Don’t leave your bags on the floor as the water can swish around and make them wet. At Pomene you can swim in the warm Indian ocean, relax under a palm tree, swim in the pool, visit the local market or explore the island on a variety of shore excursions. Read more about my experience at Pomene for my best suggestions of things to do. Many people do seem to hog the better lounge seating areas in the shade by spreading out their towels, so try to get there early if you want to sit in this area. 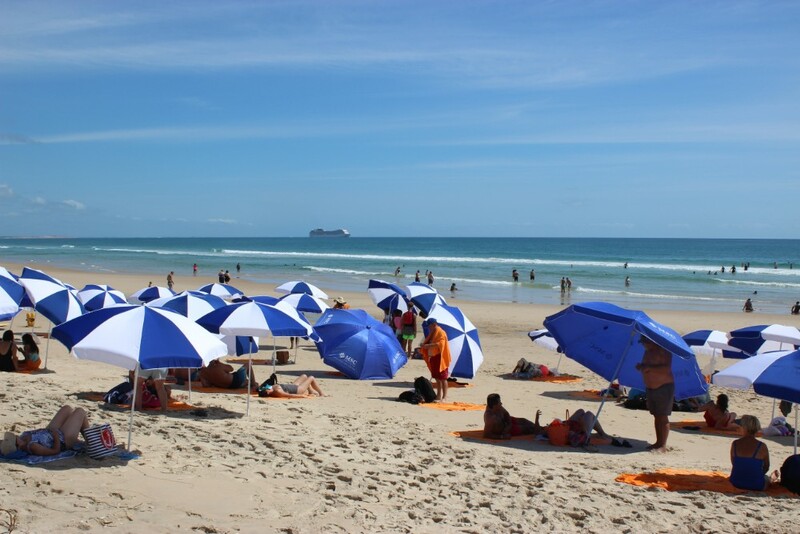 If you’re going to spend any time on the beach side of Pomene I definitely recommend you pre-book an umbrella – or arrive early and hope they still have some available! Umbrellas are hired for R100. You won’t get them for free! There aren’t any locals that you can hire umbrella’s from either. Leave your pre-packed checked bags outside your room by 2am on the last morning of your cruise. These will be taken off the ship for you and you’ll find them waiting for you as you exit the passport control area. Alternatively you can walk off with your own bags (if they are easy enough to carry) but this can mean you have to worry about them for quiet some time on the boat while you should be enjoying your last leisurely breakfast. I recommend letting someone else worry about them. We were not delayed at all waiting for our bags once off the ship. They were waiting for us and it was easy to identify them. Disembarkation is extremely efficient. If you’re taking the transfer (which is at cost and must be booked at Reception during the day before arriving back at port) you’ll receive priority. When booking your return flights home allow enough time for disembarkation and your transfer to the airport. You don’t want to be stressed on the last day of your trip due to the worry of missing a flight. Rather ease back in to normal life and leave enough time for everything. I hope you found this article helpful. I’ve had such fun putting it together. It has made me want to set sail again! 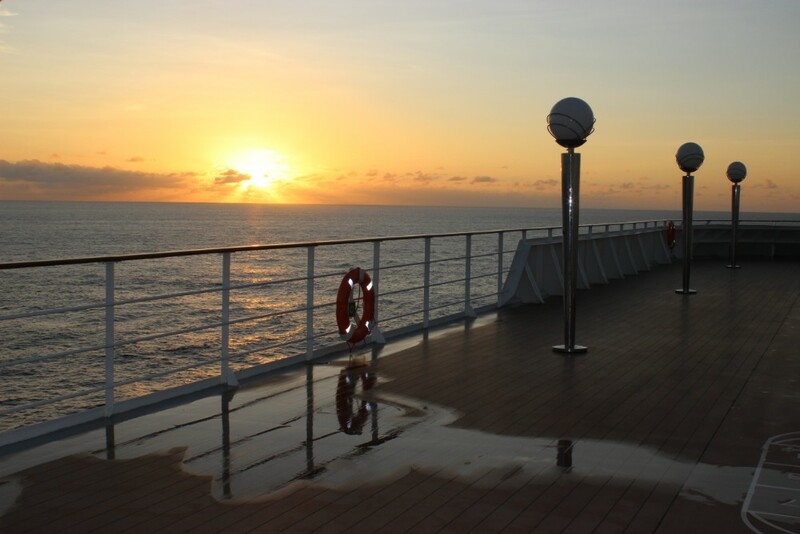 If you’re a frequent cruiser please do let me know your top tips for a cruise holiday in the comments below. I’d love to hear from you about your experience and what you found helped you prepare for this holiday of a lifetime. Thank you it was interesting and informative for all the shorter cruises. Would like someone to do a similar thing on a longer cruise, like the Grand Voyages! We also love cruising and have sailed with several different lines. Only once with MSC and not out of Africa. We didn’t have a great experience on our ship, so it’s good to read that you did more than once. Great cruising tips here, and a few that seem unique to MSC like the discount for booking an excursion in advance. 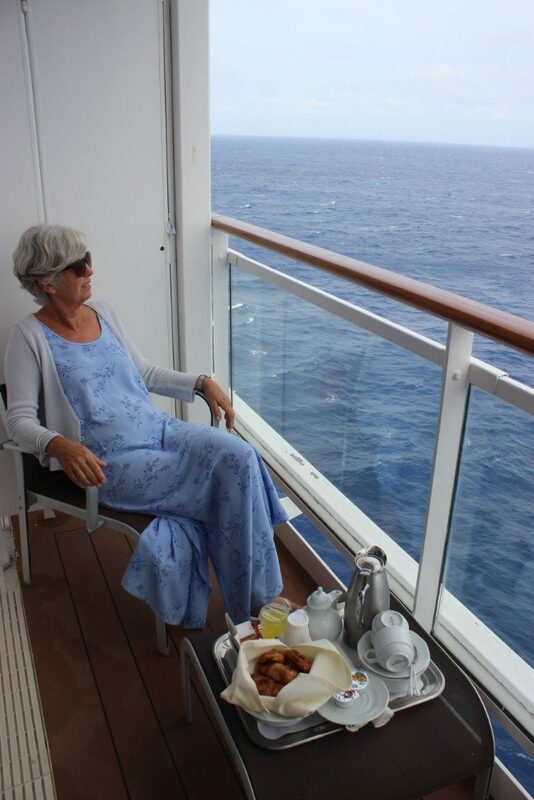 Very handy tips – absolutely love cruising, but due to financial constraints no more!